Luxor ( or ; Arabic: الأقصر‎‎ al-Uqṣur ; Egyptian Arabic: Loʔṣor [ˈloʔsˤoɾ]; Sa'idi Arabic: Logṣor [ˈloɡsˤor], Coptic: ⲛⲏ) is a city in Upper (southern) Egypt and the capital of Luxor Governorate. The population numbers 487,896 (2010 estimate), with an area of approximately 417 square kilometres (161 sq mi). Luxor was the ancient city of Thebes, the great capital of (Upper) Egypt during the New Kingdom, and the glorious city of Amun, later to become the god Amun-Ra. The city was regarded in the Ancient Egyptian texts as w3s.t (approximate pronunciation: "Waset"), which meant "city of the sceptre" and also as t3 ip3t (conventionally pronounced as "ta ipet" and meaning "the shrine") and then, in a later period, the Greeks called it Thebai and the Romans after them Thebae. 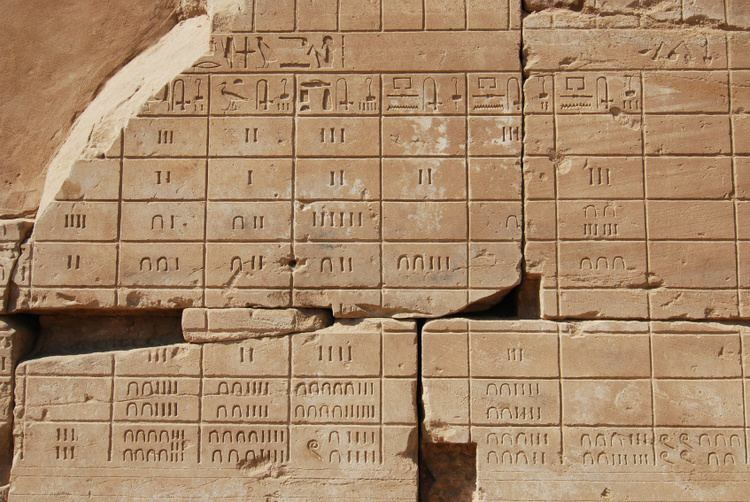 Thebes was also known as "the city of the 100 gates", sometimes being called "southern Heliopolis" ('Iunu-shemaa' in Ancient Egyptian), to distinguish it from the city of Iunu or Heliopolis, the main place of worship for the god Re in the north. It was also often referred to as niw.t, which simply means "city", and was one of only three cities in Egypt for which this noun was used (the other two were Memphis and Heliopolis); it was also called niw.t rst, "southern city", as the southernmost of them. 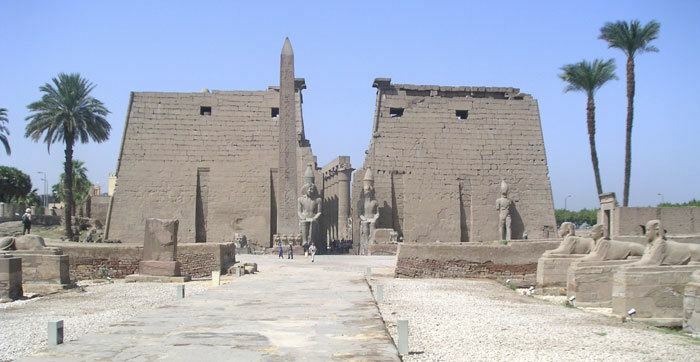 The importance of the city started as early as the 11th Dynasty, when the town grew into a thriving city, by native nubi Egyptian, it was renowned for its high social status and luxury, but also as a center for wisdom, art, religious and political supremacy. Montuhotep II who united Egypt after the troubles of the first intermediate period brought stability to the lands as the city grew in stature. The Pharaohs of the New Kingdom in their expeditions to Kush, in today's northern Sudan, and to the lands of Canaan, Phoenicia and Syria saw the city accumulate great wealth and rose to prominence, even on a world scale. Thebes played a major role in expelling the invading forces of the Hyksos from Upper Egypt, and from the time of the 18th Dynasty to the 20th Dynasty, the city had risen as the political, religious and military capital of Ancient Egypt. Luxor has a hot desert climate (Köppen climate classification BWh) like the rest of Egypt. Aswan and Luxor have the hottest summer days of any other city in Egypt. Aswan and Luxor have nearly the same climate. 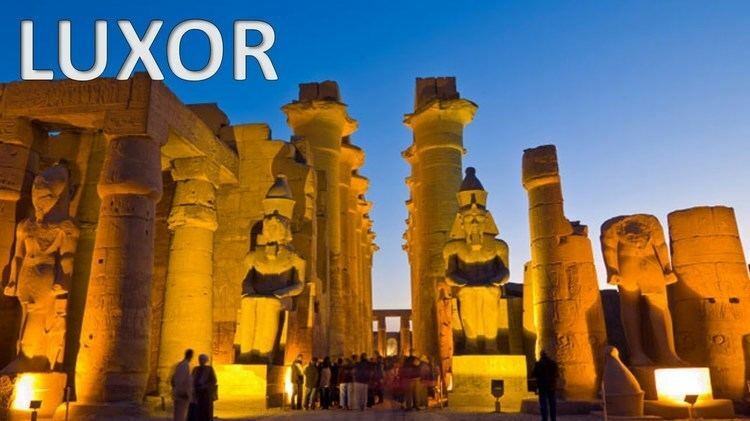 Luxor is one of the hottest, sunniest and driest cities in the world. Average high temperatures are above 40 °C (104 °F) during summer (June, July, August) while average low temperatures remain above 22 °C (72 °F). During the coldest month of the year, average high temperatures remain above 22.0 °C (71.6 °F) while average low temperatures remain above 5 °C (41 °F). In turn, it lost territory on August 10, 1947 to establish the Eparchy of Assiut and again on 1981.09.13: Lost territory to establish Sohag. A bridge was opened in 1998, a few kilometres upstream of the main town of Luxor, allowing ready land access from the east bank to the west bank. Traditionally, however, river crossings have been the domain of several ferry services. The so-called 'local ferry' (also known as the 'National Ferry') continues to operate from a landing opposite the Temple of Luxor. The single fare (June 2008) is 1 L.E. - one Egyptian Pound - per passenger for foreigners. Egyptian nationals pay ¼ of that, 25 piasters. This ferry is mainly used by the locals although a number of foreigners do use it. The city of Luxor on the east bank has several bus routes used mainly by locals. Tourists often rely on horse carriages, called "calèches," for transport or tours around the city. Taxis are plentiful, and reasonably priced, and since the government has decreed that taxis older than 20 years will not be relicensed, there are many modern air-conditioned cabs. Recently, new roads have been built in the city to cope with the growth in traffic.